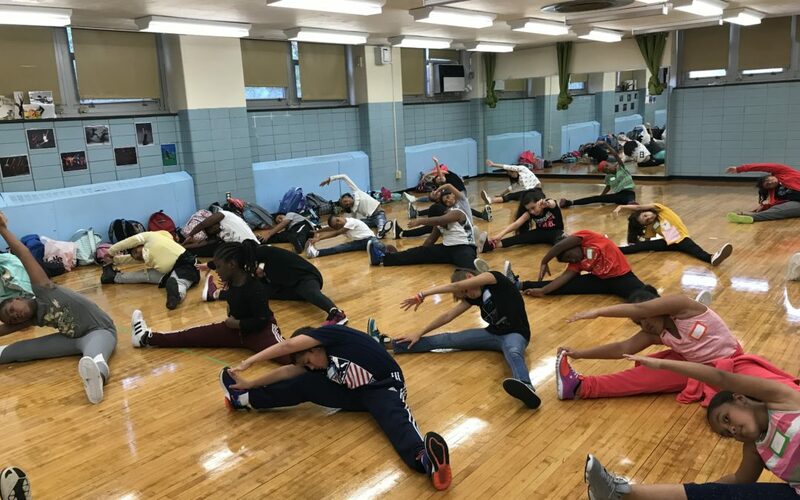 DMF Youth is one week in to our fall programming and nearly 100 children attending Title 1 schools and/or living in homeless shelters are dancing their hearts out and learning valuable life skills that will help them thrive in and out of the classroom. 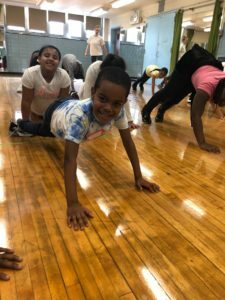 This fall we added new partner school in East Harlem to our roster, and we are excited to bring DMF Youth’s highly effective programming to this struggling school. On the first day, we learned that several of our students live in nearby shelters. One boy in particular touched our hearts. His shy, sweet demeanor vanished as he started to dance and express himself. You could tell DMF Youth was a respite from his current living situation. His mother forgot to pick him up and we told him we were happy to walk him home, but he was hesitant. Finally, he told us, “I don’t really live in an apartment.” Since we work at a shelter in the Bronx, we knew exactly what that meant and assured him we would walk him there and make sure he was safe. On the walk to the shelter, we learned that he’s been living there about a month AND this is his first year attending the school (he previously lived in a different borough). That’s a lot of change for a 10-year-old. We are thrilled to be a positive light in this boy’s life and teach him how special, strong, and awesome he is! During the first few weeks of DMF Youth programming, we focus on the power of positive language and positive thinking. The first day we ask students to think about a word that embodies them right now and a word they want to be. This is a great way for us to get to know the kids and also for the kids to reflect on their strengths and struggles. We also teach the kids about affirmations and how positive affirmations can help them through difficult situations. These activities are part of the Social Emotional Learning (SEL) component of DMF Youth’s curriculum. SEL enhances students’ capacity to integrate skills, attitudes, and behaviors to deal effectively and ethically with daily tasks and challenges. 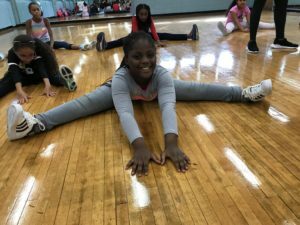 The traditional school day rarely address the social and emotional issues that plague at-risk youth and make it difficult to for them to succeed. 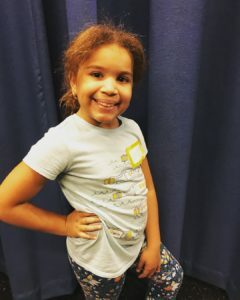 DMF Youth’s unique and highly impactful approach addresses these issues head on and teaches youth the value of perseverance, creativity, conflict resolution and empathy. Our students learn how embrace and cultivate their strengths and accept the differences in those around them. We are still looking for sponsors for many of these amazing kiddos! 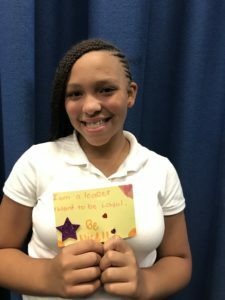 This is a fantastic way to personally connect with a deserving student. 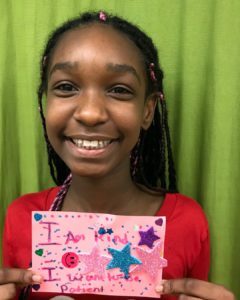 You will receive updates, photos and thank you notes from your sponsored child or children, and we can’t express how grateful they are for your support! We have different levels of sponsorship to fit all financial budgets and every penny counts. Please consider helping an undeserved child attend our program and equip them with the tools they need to thrive!